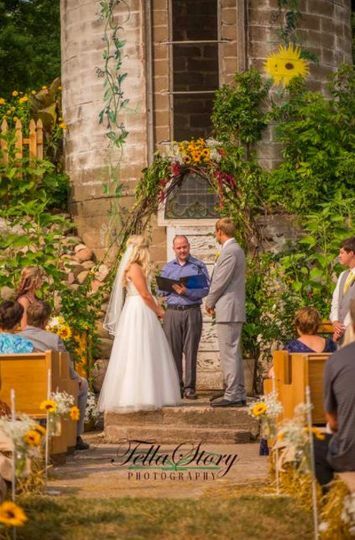 Sunflower Hill Wedding and Event Venue LLC is a rustic, country-style wedding venue located in Saint Croix Falls, Wisconsin. 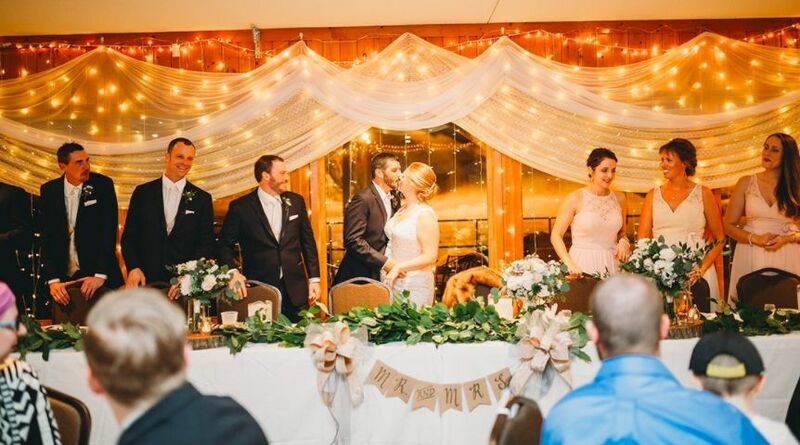 They offer both indoor and outdoor sites for your ceremony and reception. 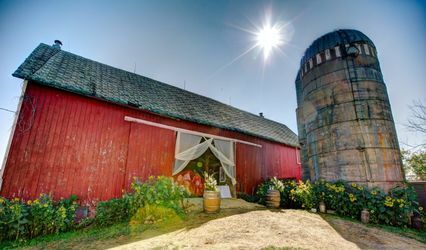 Couples will experience rolling hills, unusual gardens and vintage-style machinery on this gorgeous farm. 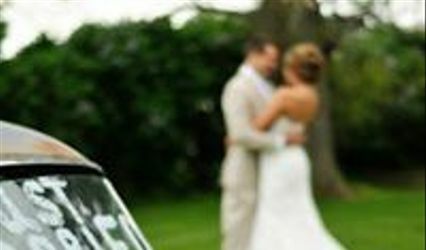 Sunflower Hill Wedding and Event Venue LLC prides themselves on their amazing service and affordable rates. 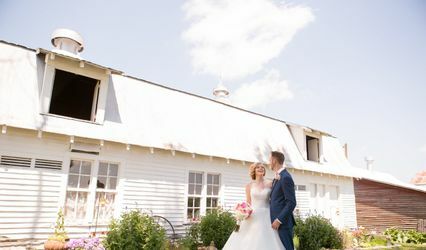 Couples can accommodate up to 300 guests at this century farm. 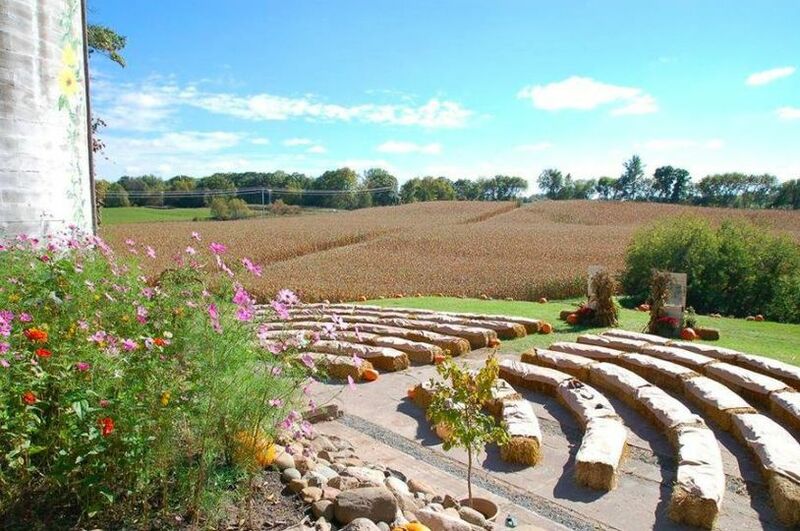 For your ceremony, they offer a gorgeous outdoor site surrounded by beautiful perennial and annual flower gardens. 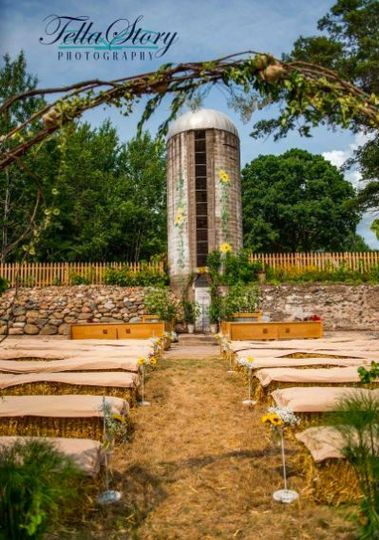 Guests will experience two silo murals and three water features as you exchange your vows. 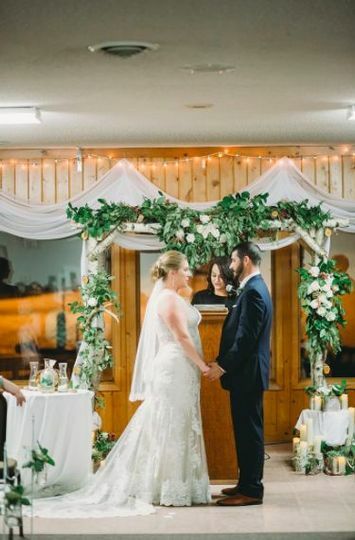 For your reception, they offer a beautiful indoor shelter. It comes equipped with basic decorations and lights already set up in a country-chic style. 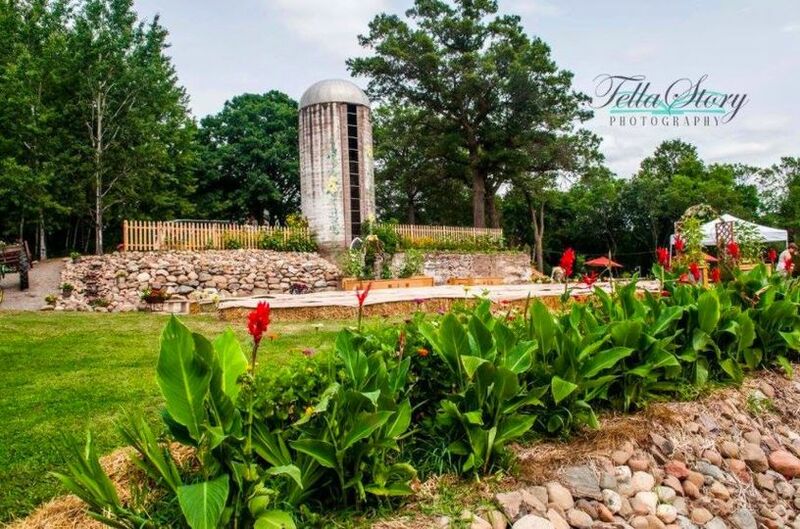 Sunflower Hill Wedding and Event Venue LLC is located an hour from Minneapolis and St. Paul in Saint Croix Falls, Wisconsin. 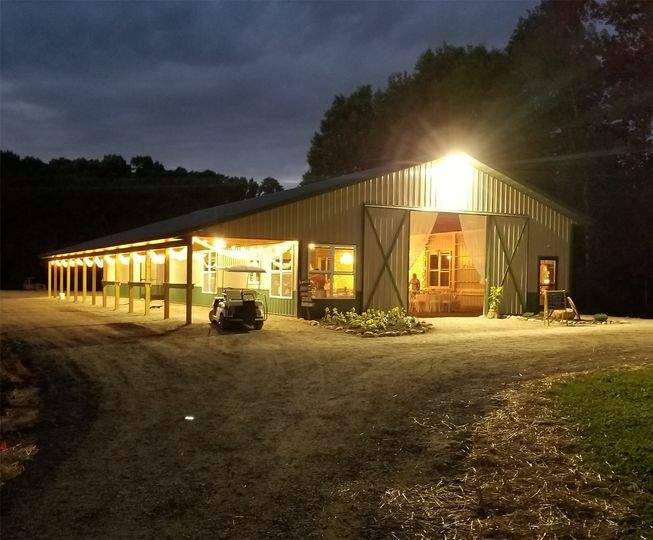 They're within walking distance to the Saint Croix Falls Holiday Inn Express, and next to the Saint Croix Falls Golf Course. 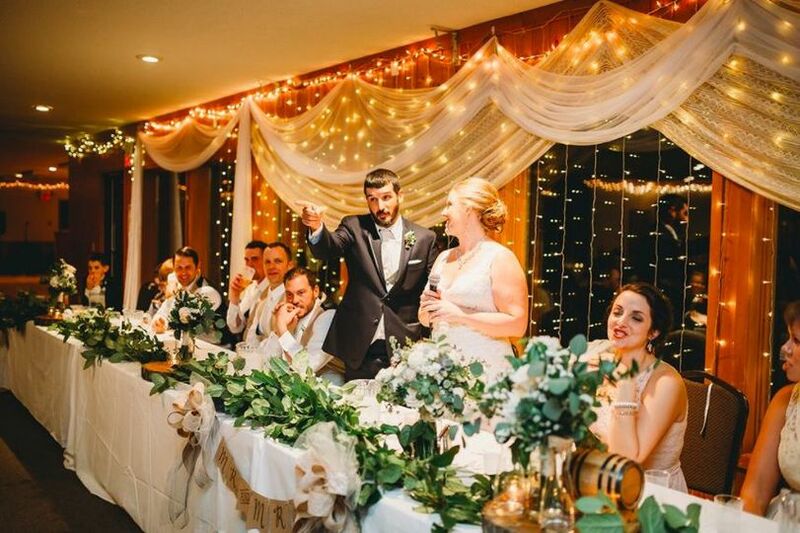 They offer the convenience of a city venue, but they’re nestled in a gorgeous country setting. Dahlia arrangement done with flowers grown in out fields and gardens. Head table backdrop is included in package. Can be adjusted to your own personal taste. 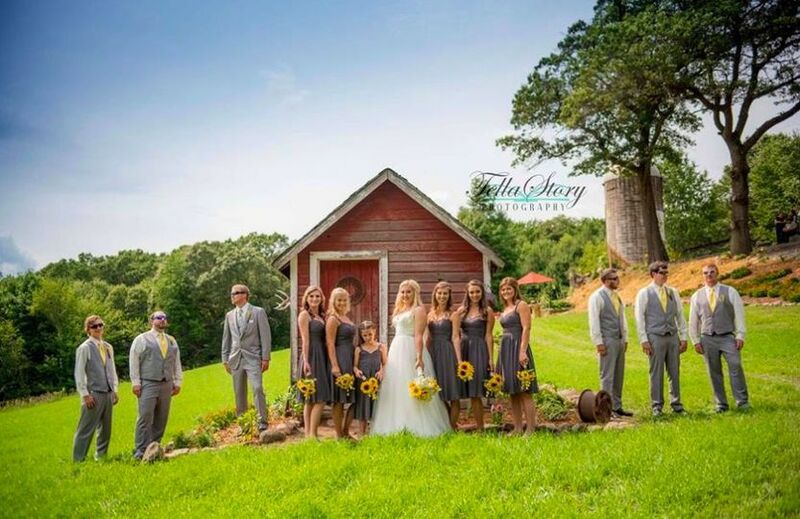 Sunflower Hill was wonderful to work with for our big day. They have a beautiful location and were very flexible and accommodating. If you're looking for a rustic chic location for your big day this is the place for you!